(813) 835-8888 Our staff is always ready to help you. Call today for a free consultation. Helping you... when your business depends on upright, fair dealings. Helping you... when recovering your property means recovering your way of life. Helping you... when nature can change your life in the blink of an eye. Helping you... when you and your family could use the help. Following a natural disaster, accident, or other unforeseen event, people can sustain serious property damage or possibly even personal injuries. Most individuals have insurance policies that are specifically designed to protect them when these events occur. Insurance is intended to provide a financial safeguard for policyholders when their homes, automobiles, or other party have been damaged through no fault of their own. While the limits of policies may vary, the people who are insured generally expect to have a substantial amount of the costs to repair or replace property covered by their insurers. Policyholders regularly pay premiums in exchange for coverage when they file claims. Unfortunately, insurance companies will occasionally fail to fulfill their end of the deal. Insurers make money by denying claims or settling them for the least amount possible. When an insurance company does not provide the benefits a policyholder needs, he or she can be stuck paying the remainder out of pocket. The Germain Law Group protects the rights of insurance policyholders throughout Central Florida. Michael Germain is a skilled insurance lawyer in Orlando who assists clients with all kinds of property insurance, liability insurance, and life insurance claims. As the founder and managing partner of the Germain Law Group, Michael Germain fights to protect the rights of policyholders. He has been recognized as a Super Lawyer by the Florida Super Lawyers rating service in the field of insurance coverage litigation in 2013, 2014, and 2015 after being named a Rising Star in 2011 and 2012. The Germain Law Group helps residents of the greater Orange County area, including surrounding communities in Seminole County, Volusia County, Osceola County, and St. Lucie County. Call (813) 835-8888 or complete an online contact form today to take advantage of a free, no-obligation consultation that will let our attorney discuss all of your legal options. It is important for people to always keep in mind that insurance companies are businesses. First and foremost, insurers are obligated to their shareholders. Insurance companies still have legal obligations to their policyholders, but the complexity of the contracts involved often allow for certain exclusions or loopholes to be exploited when claims are reviewed and investigated. If an insurer can find any way to deny or minimize the value of a policyholder’s claim, it will not hesitate to do so. People often have to pay for additional types of coverage that might otherwise be excluded from standard insurance policies, such as protection for floods, sinkholes, or other disastrous events. Even when a policy covers these types of damage, an insurance company may deny a claim or grossly undervalue the amount of damage caused. The Germain Law Group is experienced in handling all kinds of life insurance, property insurance, and liability insurance issues. Orlando insurance lawyer Michael Germain can negotiate to get a policyholder a fair settlement or take the insurer to court if it is unwilling to compromise. Following any kind of accident or disaster, people file insurance claims in hopes of being compensated as quickly as possible so their lives can return to some sense of normality. Insurance companies may deliberately delay investigating these claims, often adding to the stress policyholders are already dealing with. When an insurer offers a settlement, it can frequently be an amount that does not account for the full extent of the damage involved. Insurance companies may present some proposed settlements as their “final offers” in hopes that policyholders—often desperate for any kind of financial relief—will begrudgingly accept the agreements under the impression that something is better than nothing. It is critical for all insured policyholders to understand that an offer is just that: An offer. You should not have to settle for any payment that still leaves you having to pay other significant costs out of your own pocket. Michael Germain helps individuals and businesses of all sizes with insurance coverage disputes. He works tirelessly to help clients achieve the most favorable outcomes to their claims. When you have regularly paid your premiums, you are entitled to the full benefits that your insurance company promised you. Do not think that you have to accept your claim being denied or a settlement that does not cover all of your losses. 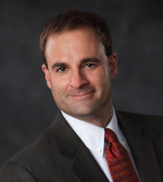 Orlando insurance law attorney Michael Germain of the Germain Law Group helps clients in and around Orange County, including Indian River County, Lake County, Brevard County, and Okeechobee County. It is in your best interest to call (813) 835-8888 or submit an online contact form so you can explore all of your legal options during a free initial consultation. Disclaimer: The information provided on this site is for general information purposes only. The information you obtain at this website is not, nor is it intended to be, legal advice. You should consult an attorney for advice regarding your own individual situation. We invite you to contact us and welcome your calls, letters and electronic mail. Use of this website or submission of an online form does not create an attorney-client relationship.